An international conference on the challenges of nuclear decommissioning, from Nuclear Energy Insider. Now in its seventh year, the Nuclear Decommissioning Conference is the industry’s leading event for the global nuclear decommissioning industry consistently bringing together over 250 nuclear decommissioning and waste management experts. Understand how the transition from operations to decommissioning will be affected by safety culture, timeline and resourcing challenges. Take lessons learned from current decommissioning sites including the common challenges faced within European gas-graphite reactors. Develop strategies for back-end cost cutting including fleet wide decommissioning programmes, implementing new technologies and cost estimation techniques. Address the socio-political, regulatory and technical issues facing nuclear waste management and spent fuel from both decommissioning and operational activities. Ensure business development success by getting the latest on future opportunities across the NDA estate and European decommissioning markets. Speakers include Nuclear AMRC business development manager Jack Hardy. 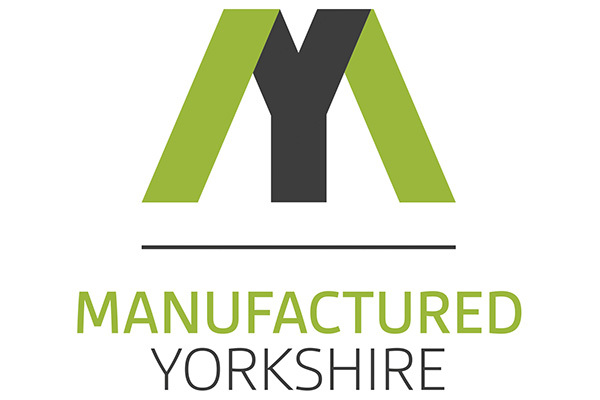 The Nuclear AMRC is proud to sponsor this exclusive event for manufacturers based in the Yorkshire & Humber region. The one-day conference and exhibition includes meet-the-buyer opportunities and seminars from industry experts, including the Nuclear AMRC’s Jay Shaw on disruptive technologies for small to medium-sized manufacturers. The UK government has launched a competition to identify the best-value small modular reactor design for the country. The Department of Energy and Climate Change (DECC) released full details of the competition’s first phase, following confirmation in the 2016 Budget of the government’s interest in building one of the world’s first SMRs in the UK. The competition will consider designs which can generate up to 300MW of electricity. The first phase aims to gauge market interest among technology developers, utilities, potential investors and funders in developing, commercialising and financing SMRs in the UK. To qualify, SMR designs must be able to achieve in-factory production of modular components or systems amounting to a minimum of 40 per cent of the total plant cost. This will present significant opportunities to exploit advanced manufacturing technologies to reduce cost and project risk. DECC emphasises that SMRs should be seen as a potential complement to the UK’s current large-scale nuclear new build programme. The department will publish an SMR roadmap in the autumn, which will summarise the evidence so far, set out the policy framework, and assess the potential for SMR development in the UK. 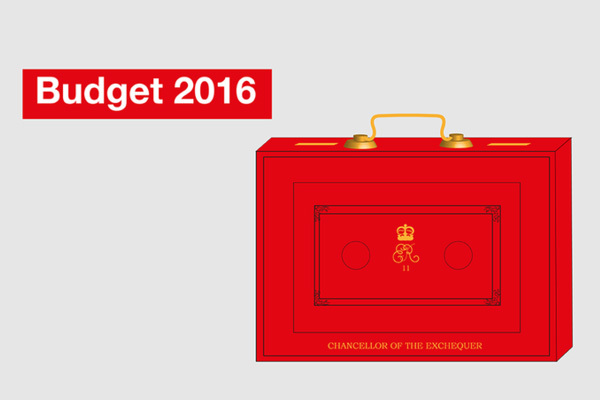 The Budget also included an allocation of at least £30 million for an SMR-enabling advanced manufacturing R&D programme to develop nuclear skills capacity. 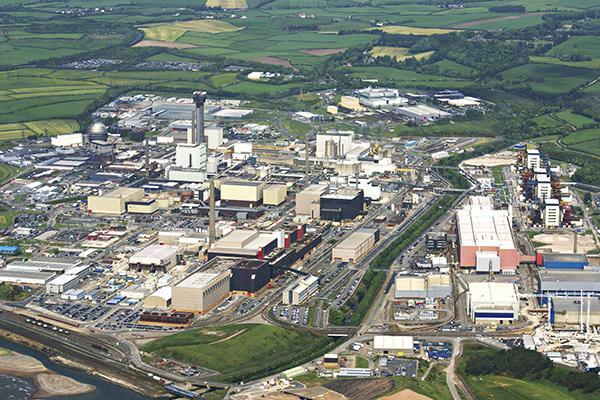 “This will create opportunities for the North’s centres of excellence in nuclear research, such as the Nuclear Advanced Manufacturing Research Centre and the Sir Henry Royce Institute,” the statement noted. Mike Tynan, chief executive of the Nuclear AMRC, commented: “Chancellor George Osborne has already demonstrated a commitment to small modular nuclear reactors and it’s good to see the continued momentum with this technology as part of a balanced energy portfolio for the UK. “The new nuclear build projects at Hinkley Point in Somerset, Wylfa in North Wales, and Moorside in West Cumbria have not yet received final investment decisions from their respective owners. If current studies indicate that they are economic and affordable, small modular reactors could be a potential supplement to the existing projects and could play a vital role in the UK energy market. The Nuclear AMRC is already working with a number of SMR developers which have expressed an interest in working with the UK government. In November 2014, the centre signed an agreement with NuScale to work together on the development of the US group’s Power Module design. The Nuclear AMRC is also currently working with Westinghouse to explore the most effective way to manufacture reactor pressure vessels for Westinghouse’s SMR in the UK. A survey of participating manufacturers has shown the impact the Fit For Nuclear programme is having in the UK supply chain. Fit For Nuclear (F4N) was launched five years ago by the Nuclear AMRC and industry partners to help manufacturers prepare to bid for work in the civil nuclear supply chain. F4N is a unique service which lets companies measure their operations against the standards required to supply the nuclear industry, and provides structured support to help companies close any gaps. Over 250 companies which had reached the ‘on-site review’ stage in their F4N journey by January 2016 were invited to complete the survey, with more than half responding. 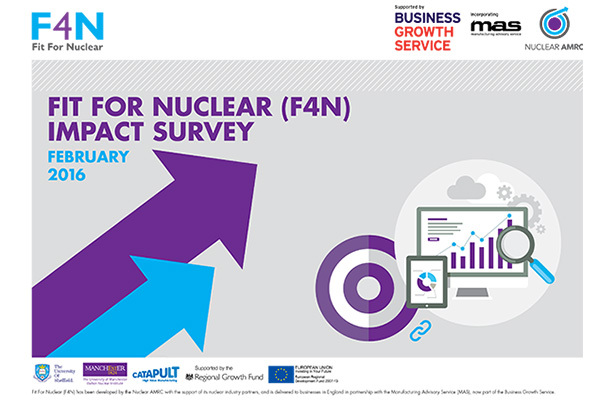 The survey was carried out by the Manufacturing Advisory Service, which has worked with the Nuclear AMRC on an enhanced F4N programme over the past 18 months. “It’s very encouraging to read the overwhelmingly positive comments from companies at all stages of their F4N journey,” says Mike Tynan, chief executive officer of the Nuclear AMRC. “The response shows that UK manufacturers are certainly keen to get involved with the nuclear sector, have the capabilities to compete, and are prepared to take the steps necessary to meet the industry’s justifiably stringent quality requirements – but many are still crying out for focused support and guidance to help them better understand the specific opportunities and requirements of the market. The current enhanced phase of the F4N programme, supported by the Regional Growth Fund, comes to an end in June. Over the past year, F4N has offered match funding worth an average of £10,000 to help companies put business and manufacturing improvement projects into action. More than 110 projects have been funded, with participating companies reporting that the funding will help create over £48 million of added value in their businesses and over 550 jobs. Download the full impact survey report. “A fabulous experience which has moved our business immeasurably beyond any other programme we have undertaken.” – Craig Naylor, NTR Ltd.
“There are massive opportunities for many British based companies – but training and awareness of such opportunities is critical. F4N is ideally placed to provide this.” – Phil Harmer, Al-Met Ltd.
“Excellent programme – even if we unable to gain entry into the nuclear sector, the benefits to the company of working through the action plan and training will improve the running of the company in all areas.” – Chris Steele, WKW Precision Engineering. “It has helped to remove the fear of the nuclear industry.” – Kevin Wheeler, WES Ltd. The Nuclear AMRC is to work with Westinghouse Electric Company to explore the most effective way to manufacture reactor pressure vessels for Westinghouse’s small modular reactor in the UK. The manufacturing study will focus on reactor pressure vessels (RPVs) – one of the largest and most demanding parts of any reactor. The Nuclear AMRC will provide a professional, independent assessment of the current Westinghouse small modular reactor (SMR) RPV design, and determine an optimal manufacturing solution. Nuclear AMRC has extensive experience in design for the manufacture of large complex parts for safety-critical applications, drawing on broad academic and industry knowledge. “Innovative and advanced manufacturing techniques are fundamental to the cost-effective production of UK small modular reactors,” said Mike Tynan, chief executive officer, Nuclear AMRC. A key component of the manufacturing study will be identifying efficiencies within the advanced manufacturing process to significantly reduce capital costs and drive project savings. These savings, coupled with the UK’s strong nuclear supply chain and Westinghouse’s commitment to SMR technology, would promote economic growth and job creation in the UK’s nuclear industry. The study will utilise expert knowledge of local manufacturing capabilities to identify potential suppliers for when the Westinghouse SMR enters production. The announcement of the manufacturing study further signals Westinghouse’s commitment to SMR technology in the U.K. 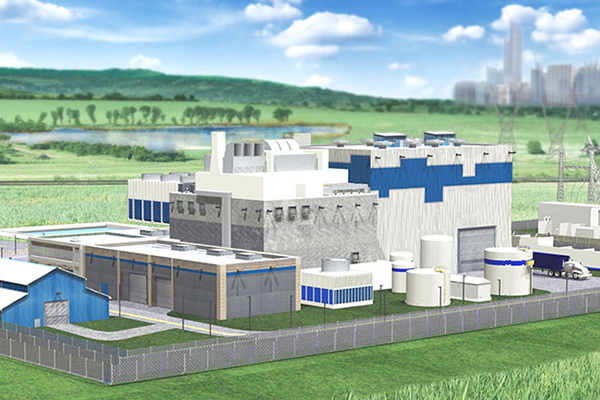 In 2015, Westinghouse bid to partner with the UK government to deploy Westinghouse’s SMR technology – a move that would advance the U.K. from buyer to global provider of the latest nuclear energy technology. Westinghouse’s Springfields facility, a strategic national asset in the UK employing over 1,000, recently achieved the requirements necessary to manufacture Westinghouse SMR fuel in the UK, something that no other SMR technology provider currently offers.